Greetings from Paris! Or more specifically, Marne-la-Valee, the suburb where Disneyland Paris is located. 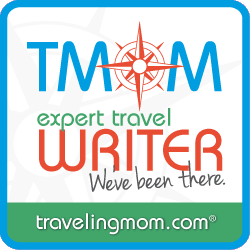 I am here with Deal Girl in the middle of January to answer the burning question: what’s it like to visit Disneyland Paris in Winter? That said, being here in the deep of winter is a vastly different experience that being any other time of year, and that’s what I want to talk about today. I’ll be doing a full recap on TPG in the weeks to come. 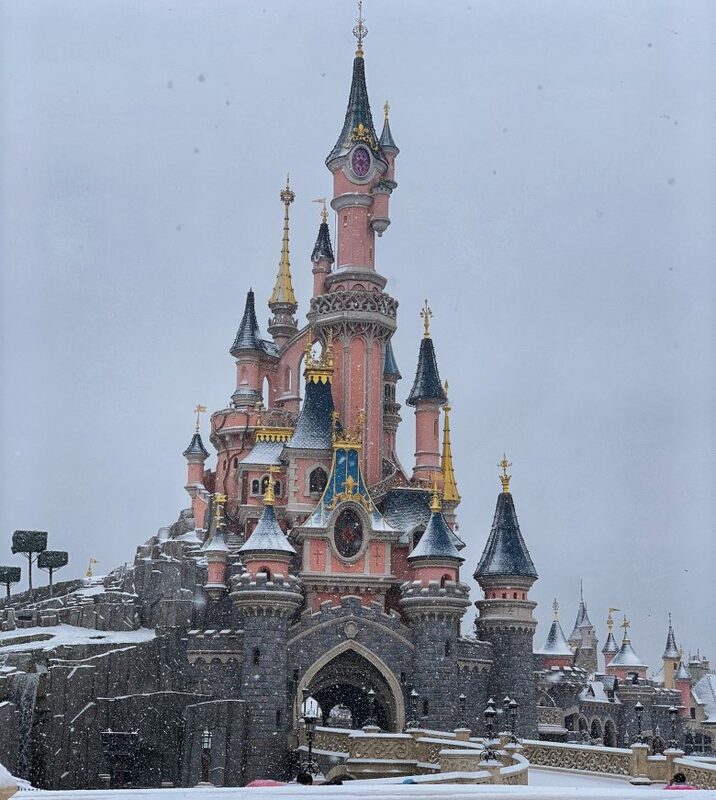 This post is for those Disney lovers and off-season travelers who wonder what it’s like to visit Disneyland Paris in the winter. This was at 11AM, an hour after the park opened. The photos above were taken three days apart. Snow isn’t all that common in Paris and we happened upon the first snow of the season. The park experience was vastly different between sunny Saturday and snowy Tuesday. For one, the park was much more crowded on Saturday. 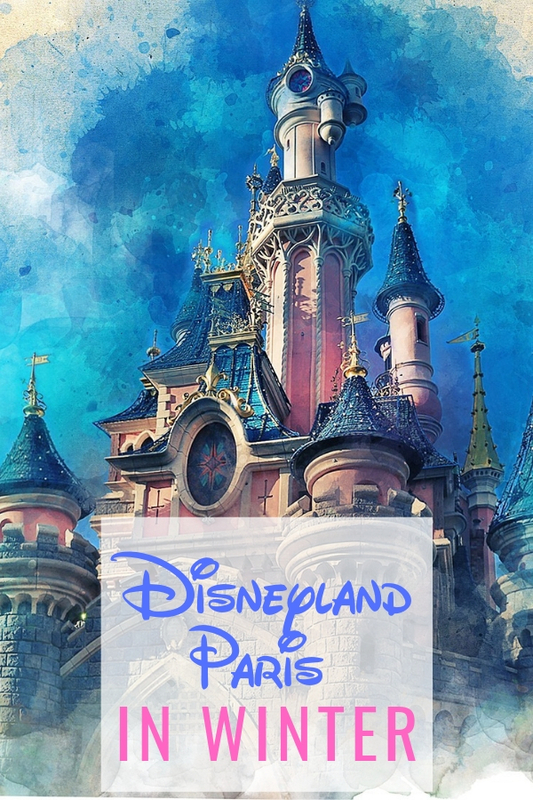 Part of that is because Disneyland Paris is more a local’s park (annual passes here are a steal) and part of that is because of ongoing civil unrest on Saturdays in downtown Paris. We heard at least 50% french speakers on Saturday and maybe ten percent on Tuesday. Snow turned the park into a ghost town as only the die-hards ventured out to visit. It was only about three inches of snow, but the white stuff was clearly a novelty to many tourists. We stumbled across no fewer than five knee high snowmen around our resort and one really well done Storm Trooper head in the park. One reason to consider visiting on a sunny day first is that the parades and special events will not operate in the snow. The floats aren’t designed for the conditions. The afternoon parade at Disneyland Park is not to be missed. 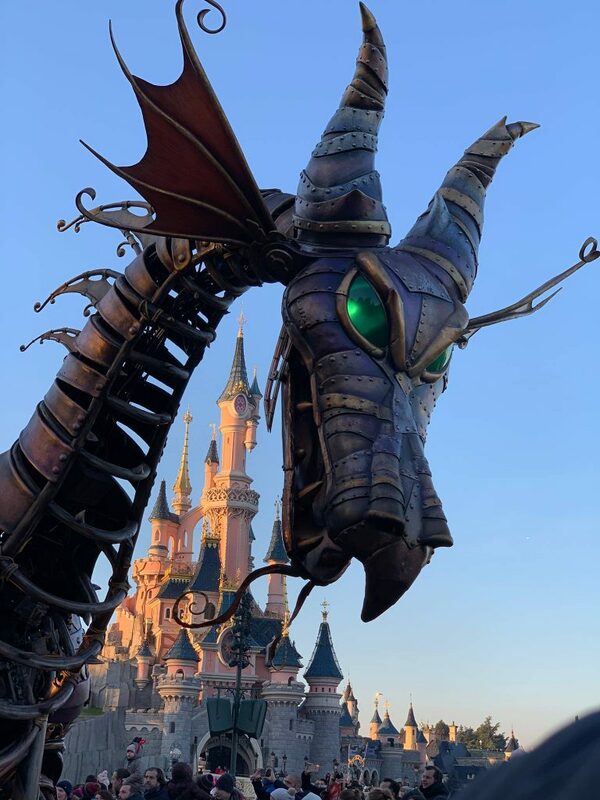 The Maleficent here still breathes fire, too. 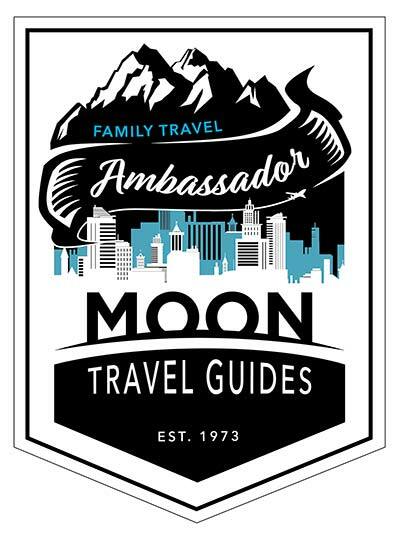 Park hours are significantly shorter in winter, most days being 10AM to 630PM. Even within those shorter hours some attractions close up shop early, We tried to ride Tower of Terror at Studios at 5PM and were turned away. Adding to the negative column: refurbishments. During our visit Phantom Manor and Crush’s Coaster, two A ticket attractions, were closed. At least those you can plan around a month or so in advance by checking the refurbishment calendar. 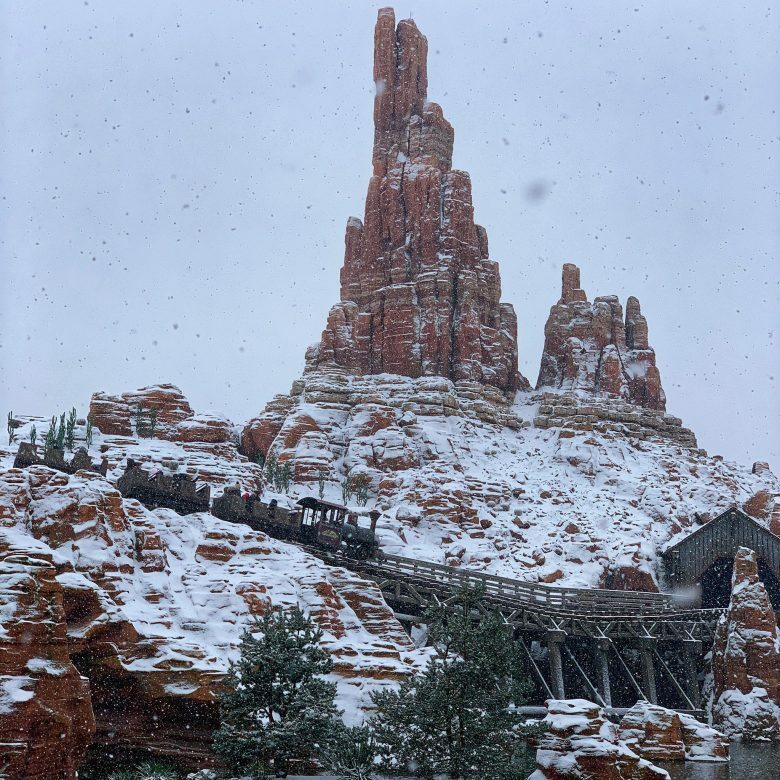 The upside of course is that on the snow day we could walk onto attractions including Thunder Mountain, which operates even in snow. I’m telling you now that riding Thunder Mountain in snow was a bucket list item I didn’t know I had. You haven’t lived until you’ve ridden Thunder Mountain in Snow. I’m adding Walt Disney Studios almost as an afterthought here, because it’s a half-day park at best and wouldn’t be missed by the run of the mill Disney fan. That said, the Ratatouille attraction is unique in the world, at least until the one at Epcot is built. That’s what kept coming into mind during our visit. For instance, Space Mountain is upside-down-Star-Wars-Space-Mountain. From now on every other Space Mountain will feel vanilla to me. 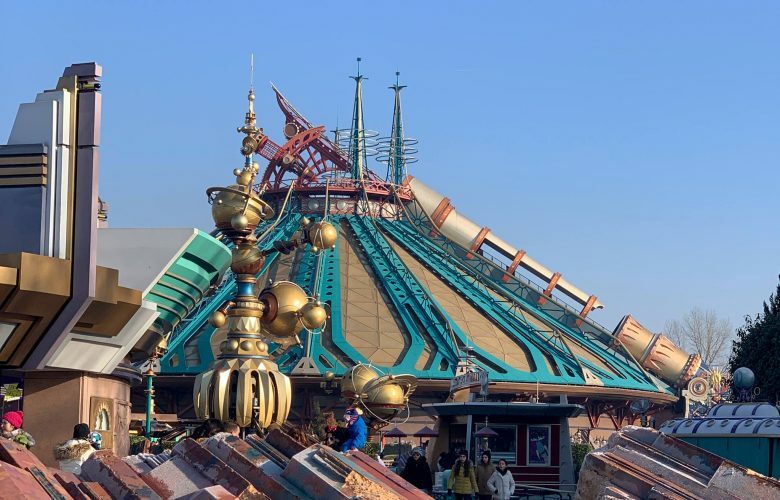 You can recognize the Space Mountain shape, but the rest is completely different. Thunder Mountain was almost twice as long, Rockin’ Roller Coaster did a 360, and even Small World had a North American section that charmed all ages. It was like someone turned Disneyland up to 11. 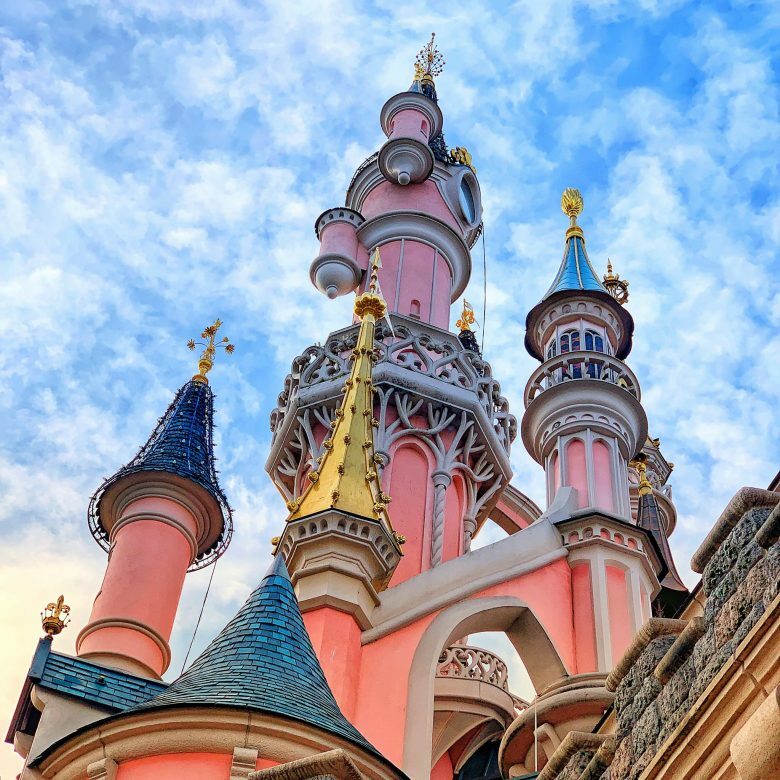 Bottom Line: Should You Visit Disneyland Paris in Winter? Be aware that the experience could change day by day or even hour by hour. Be aware that Disneyland Paris isn’t a copy, but more like an enhanced Magic Kingdom. Be aware that you might not see everything. 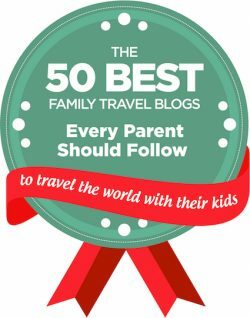 But that just gives you a reason to plan another trip, which is what we are going to do this summer. 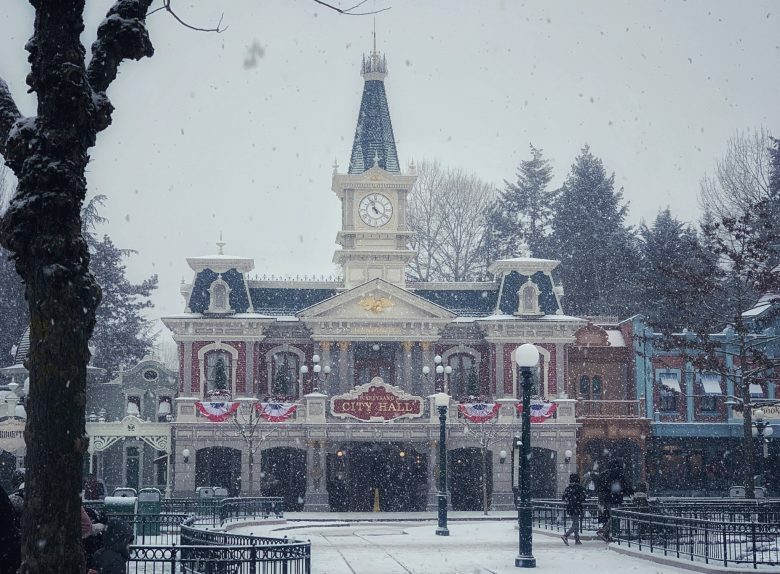 I’d love to hear your impressions of Paris Disneyland in winter if you’ve been. Please share in the comments.